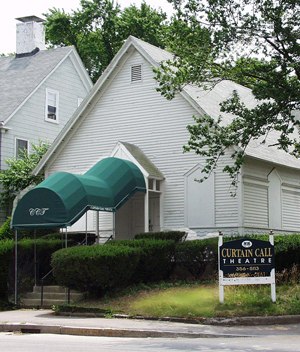 Curtain Call Theatre was established in June 1962, when a core group of local performers from various little theatre groups united to perform Oklahoma! Our purpose has always been to provide a medium for members to develop their creative talents through experience in the field of theater. As Curtain Call Theatre continues to grow and thrive, we hope to cultivate a more diverse community in the coming seasons. We will engage with the next generation of theatre artists and patrons by providing arts education programs that promote creativity, learning and leadership. We will become more involved in our surrounding communities and support small businesses, like ourselves. We will be more environmentally conscious by reducing the amount of paper we use, continuing to recycle packaging from our concessions and by recycling more of the materials we use to design our sets and costumes. And, finally, our ultimate long-term goal is to continue to grow and remain a vital part of our own community and, on a larger scale, the theatre world. Curtain Call Theatre is governed by a board of directors that meets every month.